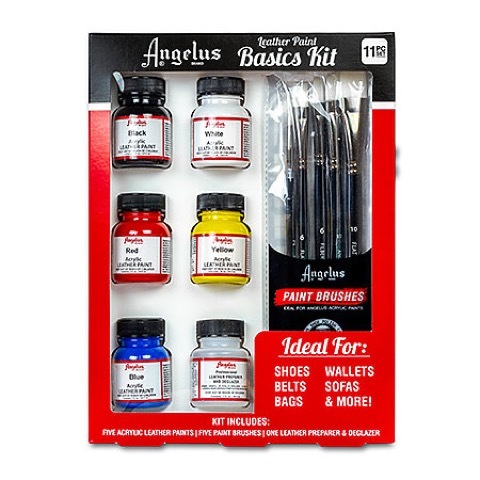 This Basics Kit contains five Angelus Acrylic Leather Paint in 1 oz. bottles in black, white, yellow, fire red and blue, one 1 oz. bottle of Leather Preparer & Deglazer and five assorted Angelus Paint Brushes.